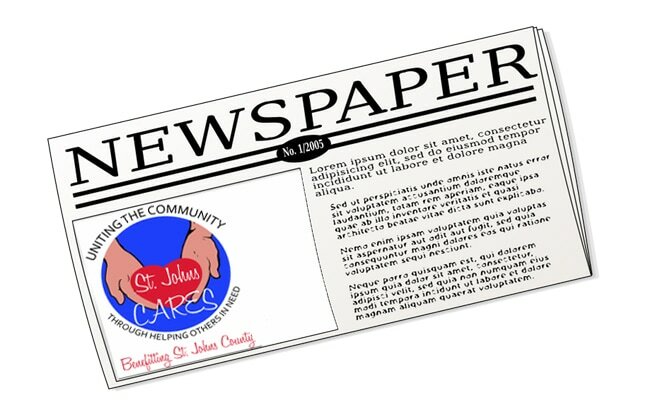 Please take the time to read these local papers and see what is happening (not just with St. Johns CARES) in your neighborhood. You'll see lots of ways to get involved and lots of good things to celebrate - right where you live. Check out the St. Johns Sun/Augustine Record, The Creekline/St. Johns Florida Newsline, the Ponte Vedra Newsline, Ponte Vedra Recorder, and our Facebook Page. With 10 years of service we've been busy. So busy we sometimes forget to tell the community what we're up to. This News Archive will give you some of the highlights from the beginning when we were, "JCP CARES," to the present day, as "St. Johns CARES" and "St. Johns CARES/Kids". More to come. Stay tuned!! !